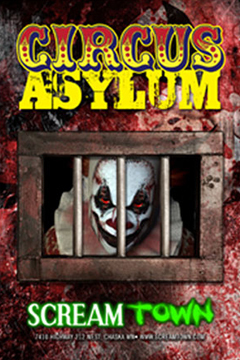 After 5 long years the circus folk residents of Scream Town simply became too crazy, their actions too wild, their appearance too terrifying, and most importantly, too many lives claimed. With no choice, Scream Town was forced to construct one of the largest Asylums this state has ever seen to house these carnival freaks, over 7,000 square feet. Safe as it may seem, it is far from it. DO… NOT…MISS… THIS ENCOUNTER. Just hope the cells are locked, stay away from the bars, and you just might make it through. This is one of the largest wooden mazes in Minnesota.